Cleanshelf is an all-in-one solution to track, optimize, and benchmark cloud software subscriptions. What SaaS Spend Management solution do you use? G2 Track helps organizations streamline and optimize internal software spend, utilization, contracts and compliance by effortlessly housing and visualizing your technology stack. Zylo is a SaaS optimization platform designed to enable companies to discover, manage, measure and optimize SaaS applications across the enterprise. Intello is an end-to-end SaaS optimization provider. This platform provides companies with real-time visibility into their software spend and usage data. Flexera SaaS Manager discovers all your SaaS subscriptions and identifies any unused, underused or abandoned licenses. Discover, manage and optimize your organization’s SaaS subscriptions and licenses to reduce “shadow SaaS,” manage renewals, reduce spend and secure user accounts. ServiceNow Application Portfolio Management (APM) uses the CMDB, discovery processes, and cost modeling to deliver a complete picture of your application portfolio. CloudReady Monitor is a robust synthetic transaction solution that measures the end-to-end performance of cloud-based solutions, including the all important "last mile". Lightweight software agents (sensors) deployed from your user access locations synthetically monitor the cloud based services you care about most. Cledara enables companies to pay, manage and cancel Cloud products. Reselling software maintenance, warranty and support renewals can be a strong and profitable revenue stream for information technology resellers, distributors and manufacturers. Binadox software license compliance and assets management suite is a tool that provides lightweight software asset management and enables continuous, real-time monitoring and management of software licenses, terms of services (ToS) and software assets within the organization to implement an advanced natural language processing to analyze the content of software license agreements and facilitate decision-making. * We monitor all Cleanshelf reviews to prevent fraudulent reviews and keep review quality high. We do not post reviews by company employees or direct competitors. Validated reviews require the user to submit a screenshot of the product containing their user ID, in order to verify a user is an actual user of the product. Hi there! 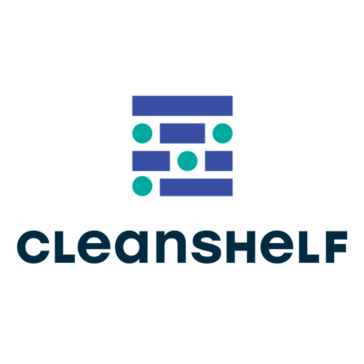 Are you looking to implement a solution like Cleanshelf?